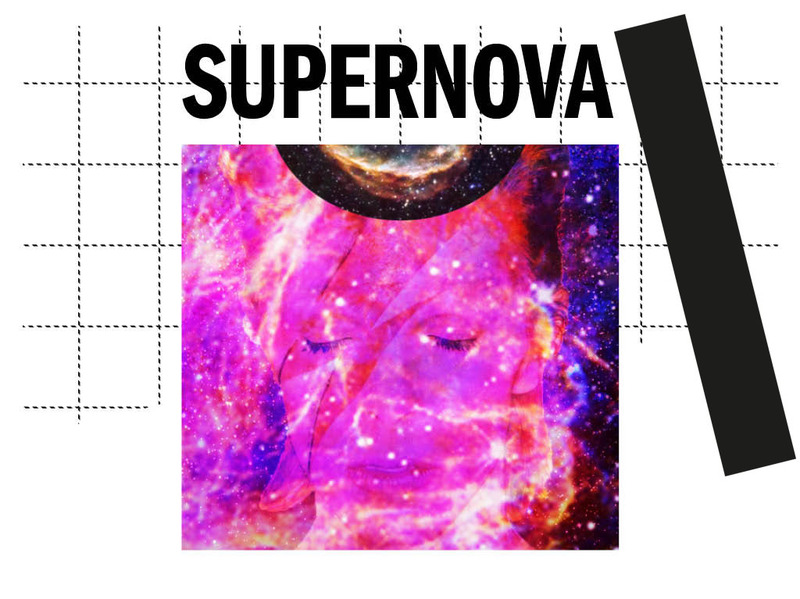 SUPERNOVA concludes a trilogy of events exploring the self- transformational work of David Bowie. Join the artists for a night of appropriation, glittering performance and genderqueering swirl. Transitions connects the artists with recordings and live work, examining their self-described alienness, transitional bodies and identities. Constellations is a rewriting of the linguistic content of Bowie’s Space Oddity album which turns 50 in 2019. Paying homage to the cut-up method used by Bowie and his peers to write song lyrics, the new text is an anagram of the album’s lyrics, finding new meaning and ways of communicating within a gathering of language. Heroes, just for one solar rotation Join two wonderful Drag Stars as they take you through the process of transformation. Their ‘becoming’ Drag versions of Bowie personae is an intimate sharing of the complexity and personal drives behind Drag. Interstellar brings Ziggy’s stellar environment to earth for two hours. An immersive installation of film, sound and light, a place to dance the night away and celebrate Ziggy’s return to stardust.